Top Five Best Energy Efficient Tumble Dryers For 2019 - Which? Tumble dryers all dry clothes with heat and gentle tumbling. But Which? 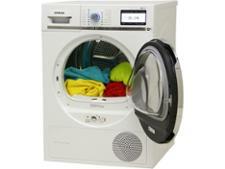 Energy Saver tumble dryers dry clothes while also keeping energy costs low. 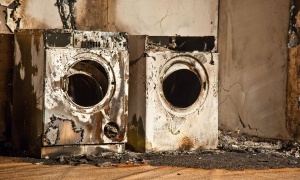 How much do tumble dryers cost to run? A cheap tumble dryer may look like a bargain - but with annual running costs varying from as little as £23 to more than £140 a year, that 'great deal' could turn into an energy bill nightmare. Avoid a dryer that bumps up your bills by seeing our table of Best Buy energy-saving tumble dryers. Which? tests dozens of tumble dryers every year, assessing each model on criteria including how quickly it dries your clothes and how easy it is to use. Each model gets a rating for overall energy efficiency, and we also estimate the annual running costs to calculate how much it will add to your energy bills each year - vital information that you won’t find in the shops. Only the condenser tumble dryers that dry items evenly and quickly become Which? 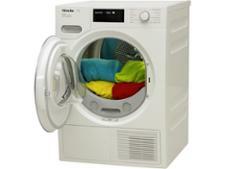 Best Buys - you can find out which these are by checking out our best tumble dryer reviews page. We award our Energy Save logo (below) to condenser tumble dryers which both dry clothes quickly and use a small amount of energy compared with other models. See which tested models meet our high standards by clicking through to our tumble dryer reviews. From there, click on the Energy Saver tick box. Only logged-in Which? members can view our recommendations in the table below. If you're not yet a member, join Which? to get instant access. This heat-pump dryer does everything you’d want from a tumble dryer. It dries quickly, leaving the load perfectly dry at the end of the program, and it uses just half the energy of a standard condenser or vented dryer. It's expensive but a worthy Best Buy. Not only is this heat-pump dryer brilliant at keeping bills low. Even though we tested it in 2015, it's still one of the fastest heat-pump dryers we've tested. It's also easy to use. In short: it's expensive, but excellent enough to be worth the money. This is a brilliant tumble dryer – in fact, it’s so good that we’ve made it a Best Buy. It dries clothes quickly and you can rely on them being dry when the buzzer sounds. It does this while using around half the energy of a standard condenser or a vented dryer. This Best Buy dryer is worth the initial big investment – it keeps running costs low so won’t drive up your utility bills. It’s also very easy to use, has a self-cleaning system so you don’t have to get your hands dirty, and it dries your clothes quickly. We were hugely impressed with how well this machine dries clothes. It leaves clothes evenly dried at the end of the cycle, it's energy-efficient and doesn't take too long to dry. That's why it's a Best Buy. Without reading our expert reviews, you run the risk of buying a tumble dryer that's let down by a poor energy efficiency rating. 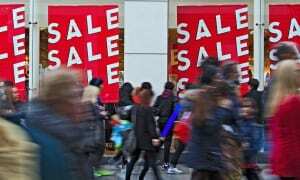 Buying a Which? Don't Buy could see you spending more on your annual energy bills than you'd like. Below, we've rounded up some Don't Buy condenser tumble dryers to steer clear of. We're not impressed with this dryer - clothes aren't dried evenly, it uses a lot of energy, it's not very easy to use and it's loud. That's why we've made it a Don't Buy. 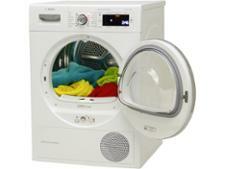 The White Knight C39AW vented tumble dryer is one for smaller households. 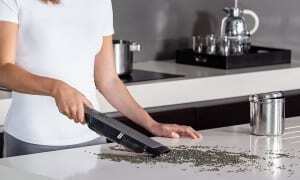 It's a compact model, which means it's shorter, thinner and shallower than a standard-sized machine. So, it might make your shortlist if you need a dryer and don't have much room to play with, but does this petite tumble dryer punch above its weight? We tested it at our lab to find out, so read on for our full review. This dryer is annoyingly noisy, leaves clothes very creased, and doesn't do a good job of trapping the moisture taken from clothes in the removable tank. It's definitely one to avoid. Heat pump vs gas tumble dryers: what's the difference? Tumble dryers are given EU energy labels - these range from A+++ for the most energy efficient, to G for the least. The average rating, C-class, may sound fine - but an A-rated dryer would cost you roughly half as much to run. Some tumble dryers have special features to help you save energy. Look out for sensor drying; models with this feature automatically detect how wet your laundry is and stop when it’s dry. Condenser tumble dryers with heat-pump technology can lead to big savings on your energy bills. Currently, there is a limited choice on the market and they tend to be fairly expensive to buy. But tumble dryers with heat pumps cost less than half to run than others and, with more companies investing in the technology, prices are already starting to fall. Gas is a cheaper fuel than electricity, making gas-powered tumble dryers a good energy-saving alternative to electric tumble dryers, particularly when they're vented. However, gas dryers are expensive to buy and need to be installed by qualified Gas Safe engineers, which can also be costly. Find out more about gas and heat-pump tumble dryers including how they work, typical prices and pros and cons. If you're done reading our tips above, we recommend heading over to our energy-saving tumble dryer tips guide for further details. There, you'll spot more ideas on how to use your condenser tumble dryer in the most efficient way. Go to the tech specs tab on our individual tumble dryer reviews to see how much each machine costs to run per year. Our energy calculations are based on each tumble dryer being used three times a week to wash a 70% full load of cottons.